We’ve just come off of our client’s annual convention, held at a large hotel in the Washington DC area. Over the five days of the convention, we shot a lot of video, recorded the speakers in multi-cam, and did on-site editing to play back video as it was happening nearly live. But one thing we did was started months before. 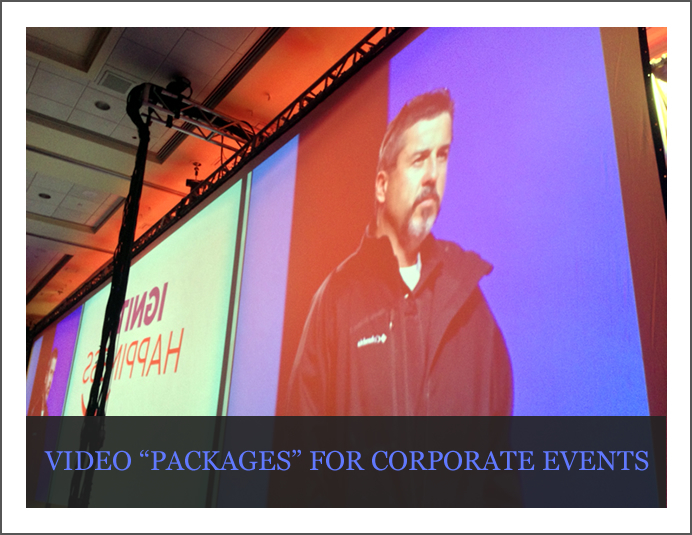 And that was creating video “packages” for playback during the conference. The term “package” comes from the broadcast world and refers to pre-produced video stories usually used in live event to highlight an upcoming act, highlight what was happening backstage or what transpired earlier. You see this a lot in the live portions of performance shows like American Idol or America’s Got Talent. You’ve seen them a hundred times– the video of the artist explaining why they chose this song, or what they had to overcome to get there this night. The Olympics are currently broadcasting. You see packages all the time. Maybe it’s a pre produced video showing why figure skater Ashley Wagner was chosen after a bad nationals. Or why Shaun White pulled out of one competition to focus on another. For my client, the packages where mostly comedic “skits” using some very talented guys from their company. We shot these a month or two before and edited them long before the event, and had them ready to play once called upon. Another package video focused on an employee getting an award. We shot his interview without him even knowing he was winning something by telling him we were doing a video on his department. We also shot some packages there at the event. One was comedic. Another was motivational. And a third informational. The opening video for the event was motivational, and heavily produced, using photorealistic 3D animation and rich surround sound design. 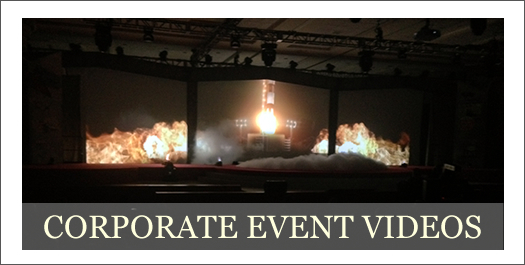 Video packages have a lot of use in corporate events. If done correctly, these can add a lot to the messages the client is getting out to their attendees, and keep them engaged throughout (like the comedic). The packages break up the parade of speakers and keep attendees laughing, learning and listening.